In Wisconsin, where another African-American man has been killed, a new law requires outside review of officer-involved deaths. Unfortunately, the laws that are needed are not always in place; as a result, one of the first questions that arises after an officer-involved death is: “Are the police going to investigate the police? This is a critical question—so much so that one of the chief recommendations of the president’s Task Force on 21st Century Policing was for independent investigations of police-involved deaths. In Madison, Wisconsin, where a 19-year-old African-American man was shot and killed Friday night by a local police officer, there’s a better answer to the question than in most places, thanks to state Representative Chris Taylor. Taylor was on Madison’s Williamson Street Friday night when Tony Robinson, who police acknowledge was unarmed, was killed. She was getting gas as a nearby station when the shots that took Robinson’s life were fired. She has been present as activists with groups such as the Young, Gifted and Black Coalition have demanded accountability and sweeping changes in police practices with a series of demonstrations that have filled the streets and, on Monday, the rotunda of the state Capitol. But Taylor’s connection to what the legislator refers to as an “unspeakable tragedy,” and to the policing issues that have been raised, runs deeper. Several years ago, after the shooting in the same neighborhood of a white unarmed young man, Paul Heenan, an internal investigation by the Madison Police Department determined that the officer involved had not violated department policies or procedures. That raised a community outcry; there were protests, petitions and calls for a better system of investigating shootings by police officers. Their voices joined a broader chorus of Wisconsinites calling for independent reviews of police shootings—a chorus that included Michael Bell, whose son was killed in 2004 by police in Kenosha. No officer was charged with wrongdoing in the death of Michael Bell Jr., but the Bell family received nearly $1.75 million in a settlement with the city. Michael Bell became a prominent campaigner for an independent-review law. He did not portray it as a panacea, but he would suggest that such legislation could provide “a little more confidence” in the process. Taylor heard the chorus. And she determined to make the change. It was not easy. She was serving her first full term as a state representative. She was a progressive Democrat in an overwhelmingly conservative and overwhelmingly Republican Assembly. But Taylor is not easily dissuaded. The Madison attorney started looking for a Republican ally. She found one in Garey Bies, a former deputy sheriff from Sister Bay in Door County. Two years ago, the pair proposed Assembly Bill 409, which was written to require that investigations of officer-involved deaths be led by investigators from outside the police agencies with which the officers serve. The bill also proposed that families of shooting victims be informed of their legal rights and that the results of investigations that do not lead to criminal charges be made public. The Republican state attorney general opposed the bill. Yet Taylor and Bies assembled a coalition of supporters that included the Wisconsin Professional Police Association, the Badger Sheriffs Association and the American Civil Liberties Union. And Taylor kept talking to Republican legislators with whom she frequently clashed on other issues. Remarkably, in a time of so many partisan and ideological divisions, the bill advanced. In the spring of 2014, after securing unanimous support in the Republican-controlled Assembly and Senate, this quite progressive piece of legislation was signed into law by the very conservative Governor Scott Walker. Since that signing occurred in the spring of 2014, legislators in other states have begun looking for ways in which to get this piece of the criminal-justice equation right. Just this past weekend, when so many gathered in Selma to commemorate the fiftieth anniversary of a great turning point in the struggle for racial justice in America, an Alabama legislator was interviewed on MSNBC about where the struggle stands today. She spoke of fights over voting rights and so many other issues. Yet she also spoke, hopefully, of efforts to pass legislation to provide for independent review of officer-involved deaths. 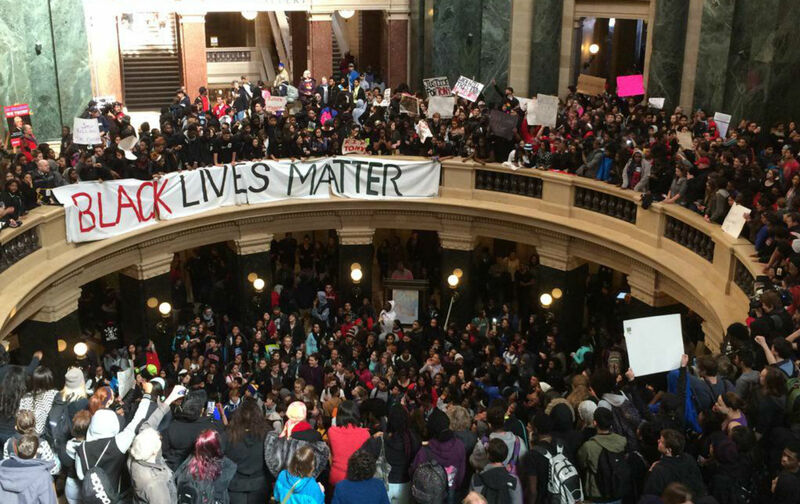 Wisconsin’s law was on the books before the killings of Michael Brown in Ferguson, Missouri, and Eric Garner in New York City sparked protests that gained national attention. Now, as news of a shooting in Madison draws national attention, Wisconsin’s law has provided at least a measure of breathing space in a difficult moment. That was an important statement, one that in a tense moment provided a framework for how Madisonians, and people beyond Madison, might consider the investigation. The law that Taylor and Bies crafted does not address every issue that emerges following an officer-involved shooting. It does not resolve every concern about policing and criminal justice. “The law that we passed is not perfect,” says Taylor. “It’s a first attempt to get a more open, transparent, independent process.” But the law does provide that framework, a potential for establishing some measure of confidence and trust. This is what lawmakers can and must do, even in times of deep division and partisan wrangling. It matters that Chris Taylor did not simply complain. She did not merely talk about what could not be done. A progressive Democrat recognized a breach in the system and, with a Republican colleague, she set out to repair it. This does not make Taylor and Bies heroes. This is what we should expect of our elected officials. Unfortunately, because our politics and our governance has become so disappointing, so frustrating, so frequently pointless, Taylor and Bies stood out as something rare in the Wisconsin Capitol: problem solvers. Like a number of senior Republicans, Bies decided not to seek re-election in 2014. But Taylor is still serving, still speaking up and still arguing that it is possible to bridge the chasms of political division to make those first attempts to get a more open, transparent, independent process.